1. 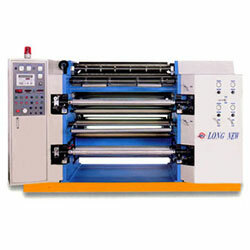 Designed for printing all types of plastic cloth. The machine features extra wide printing capacity combined with the operation of a flexible plastic cloth making machine to create unmatched performance in PVC and PE plastic cloth printing. 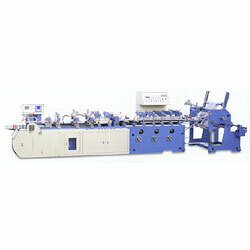 Suited for slitting cellophane film, PVC, PE, CPP, OPP, PET, paper rolls and printed materials. 2. Employs microcomputer controller, ergonomically designed control screen for maximum operation convenience. 1. All motions, from gusset, side clamping, center sealing, bottom sealing to cutoff are accomplished at one time. 2. 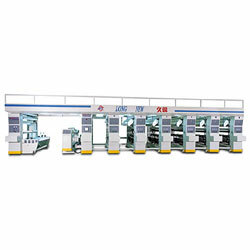 Employs servo motor drive for high cutting accuracy, without error caused by sealing position.